Famous faces, big name brands and world-renowned mountaineers are donating their time and expertise as well as personal treasures to help raise funds for the earthquake relief effort in Nepal. Bidding opens on Sunday 28 June in a series of two week-long online auctions led by the BMC with support from the Alpine Club in partnership with ebay. A walk up a Lakeland fell with BMC Patrons, former Alpine Club Presidents & Everest summiteers Sir Chris Bonington and Doug Scott CBE. A Brands Hatch Private Box at the British Superbike Championship (17-19 July) with admission for 20 people, donated via an Alpine Club member. A half day rock climbing in Derbyshire with past Alpine Club president Mick Fowler, donated via the Alpine Club. A half day Landrover off-road experience for up to 3 people, donated by an Alpine Club member. A day’s climbing/coaching at Millstone with BMC Ambassador Hazel Findlay. 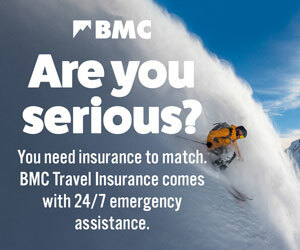 An evening’s coaching with BMC Ambassador Steve McClure. A day’s climbing/coaching with BMC Ambassador Shauna Coxsey. Training workshop for 2 with BMC Ambassador Fran Brown at the Arch Climbing Wall, London. A day rock climbing/scrambling in Snowdonia for 2 with instructor Tim Harrop (MIA). Navigation course with Mountaineering Council of Scotland at Campsie Fells, near Glasgow. A day’s guided climbing with Calum Muskett in North Wales. Luxury hill-walking & life-coaching retreat in the Scottish Highlands with Cat Trebilco - Reach the Peak. Free initial and follow-up session with Buxton Physio. Mike Westmacott's personal butterfly collection from 1953 Everest expedition, donated by Alpine Club member. Pete Boardman’s boots worn on the south west face of Everest, donated by David Pownall. Leo Houlding's jacket and rucksack (signed & dated), used on 2013 Ulvetanna Peak expedition to Antarctica in 2013, as featured in Alastair Lee’s film, The Last Great Climb. 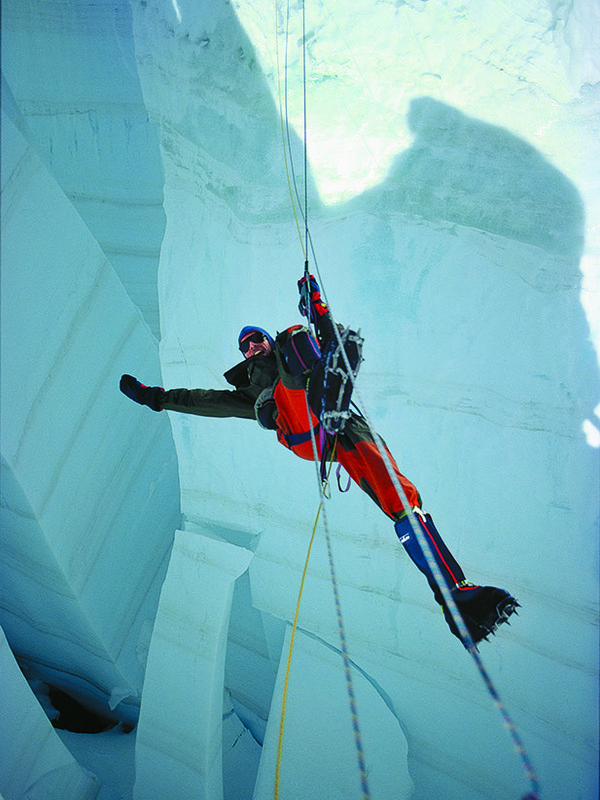 Personalised signed photo by Doug Scott CBE on Hillary Step on Everest. High quality framed Ogre poster signed by Doug Scott and Chris Bonington. Clive Tully Sprayway Impulse 226 waterproof jacket worn aboard Spirit of Cardiff on the fastest powerboat transatlantic crossing from New York to Lizard Point in 2001. A set of very collectible Chouinard-logoed CAMP Hexentrics on rope: Nos. 11, 10, 9, 7, 5 (Chouinard USA), 4, 3 and 1, donated by the Mountain Heritage Trust. A Simond Barracuda ice axe circa early 1980’s. Signed by Doug Scott, Chris Bonington, Leo Houlding and Paul Ross, donated by the Mountain Heritage Trust. A shepherd's crook with inscription "To Sir John Hunt from the cadets of the Northumbrian County Constabulary Feb 1961", given by Hunt to Ernst Reiss, 1st ascensionist of Llotse (Swiss Everest expedition 1956), donated by Ron Lake (who was given it by Reiss’s widow). Assorted trad climbing equipment used by James McHaffie on routes like Indian face. Salathe wall and the Longhope route. Everest 1953 cigarette box given to all British Everesteers, donated by an Alpine Club member. A 1953 Christmas card from Prince Phillip to an Everesteer, donated by an Alpine Club member. Signed photo of Ab Fab star & Gurkha campaigner Joanna Lumley. Signed Sherpa photo by photographer Alex Ekins. Pencil drawing of a climber by Stacey Gardner. Artwork or sculpture by artist & climber Andy Parkin. Painting by Tom Price, former BMC President, donated by his family. Climbers Club limited edition print of the Llanberis Pass by Anthony Cain, donated by BMC. Limited edition Giclee print of a Neil Robertson painting he did after trekking in Nepal. John Cleare signed prints of Everest & Lhotse and Machhapuchhare, donated by an Alpine Club member. Limited edition print to commemorate first ascent of Kanchenjunga signed by Norman Hardy, Tony Streather and Joe Brown, donated by the Alpine Club. Julian Cooper original study of South-West face of Everest, donated by an Alpine Club member. James Hart-Dyke original acrylic on paper of Lhotse, donated by an Alpine Club member. Rare 1895 Everest photo, donated by an Alpine Club member. Alpine Club print of watercolour by John Auldjo, donated by the Alpine Club. Complete set of typesetter's double page spread proofs from the first edition of Stephen Venables' ‘Everest Kangshung Face’, published 1989. Signed copy of ‘Sir Edmund Hillary and the People of Everest’ (signed by Hillary, Band + others), donated by an Alpine Club member. 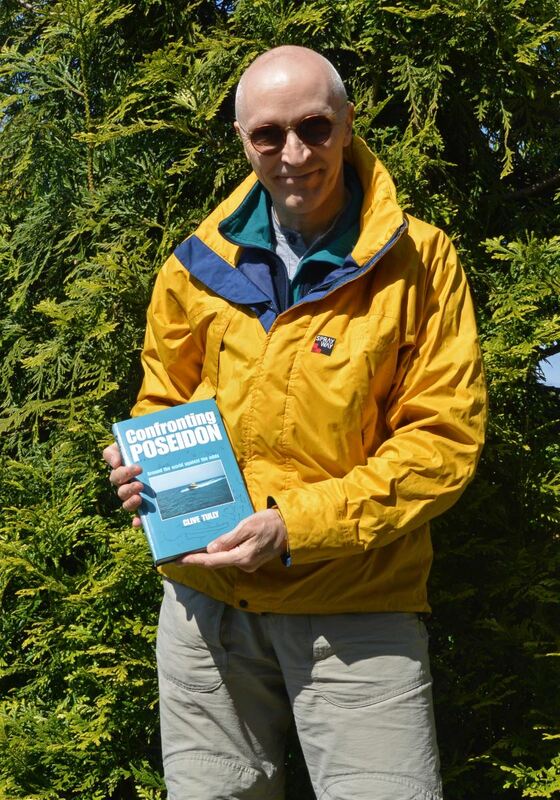 Signed copy of record-breaking sailor Clive Tully’s book "Confronting Poseidon”. Set of signed books by long-distance walker & BMC hill-walking ambassador Chris Townsend. Set of signed books by Sir Ranulph Fiennes. Please note – this is not a comprehensive list and is for guidance only. Full details will be published as eBay listings go live. For more information read our press release. Contact press@thebmc.co.uk with any media enquiries. The fuel crisis in Nepal is ongoing and is severely hampering relief efforts in Nepal. This adds insult to injury for the Nepalese people as they struggle to recover from the earthquakes which hit earlier this year. The hammer has fallen for the final time on the #BMC4Nepal charity auction, raising an impressive £24,097 for the people of Nepal.